You are cordially invited to celebrate and share your photos of Kentucky’s state nature preserves by entering KSNPC’s annual photo contest! The overall winner and top three winners in each category, will also receive recognition on our website and in our electronic newsletter “Naturally Kentucky”. Entry is open today and will run until October 30. Facebook judging will take place November 3 through the 13. So show off your talents, the beauty of the Commonwealth and good luck! 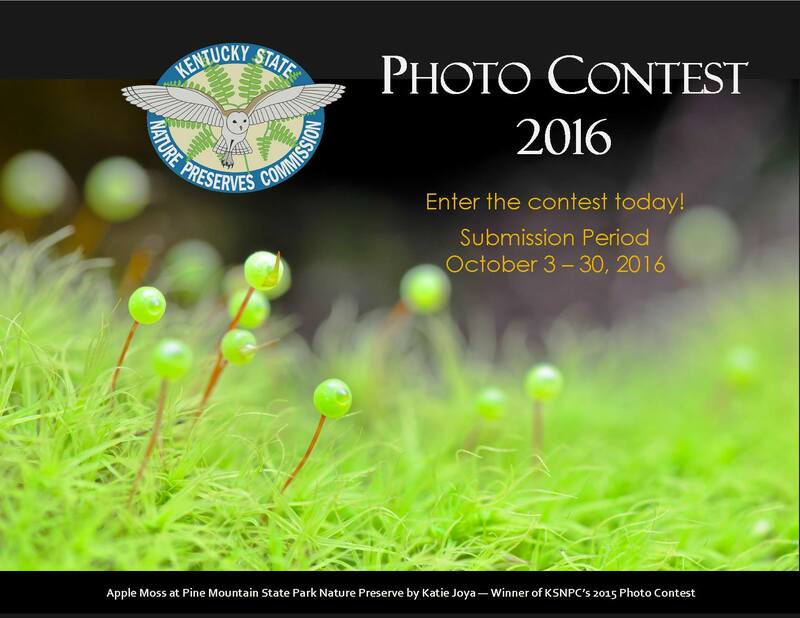 For more information and for rules, please go to http://naturepreserves.ky.gov/Documents/2016%20KSNPC%20Photo%20Contest%20Rules%20shortened.pdf.